As was mentioned in the previous blog post, Pushwoosh has recently started to work on a new challenging project in co-operation with UEFA, who has just launched their Euro 2016 app. 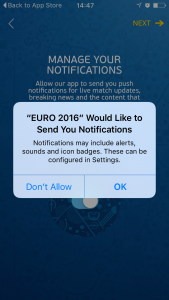 Our goal was to send push notifications to its official app users with a super-high velocity. 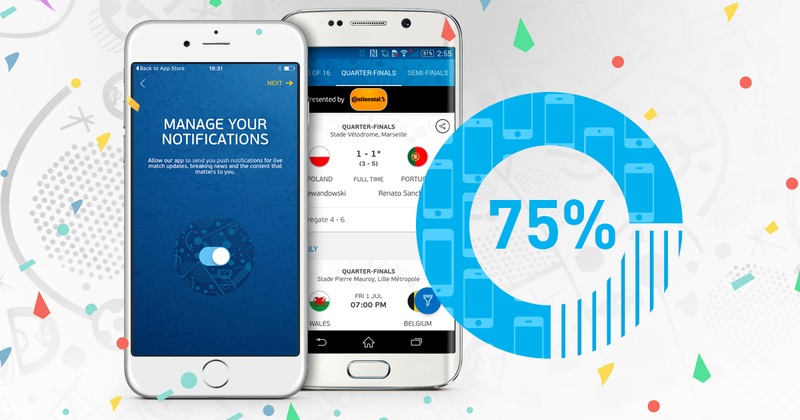 We’ve succeeded to do it in a fine fashion and were favorably impressed to see an amazing push subscription rate of 75%. All joking aside: these numbers are really, really huge in comparison with an average rate of 20-50%. 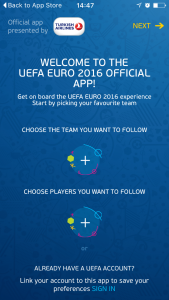 Also we promised you to describe the way EURO 2016 application got that high performance. So let’s drill down the strategy that will help you achieve really high subscription rate and will give your audience a valuable experience. 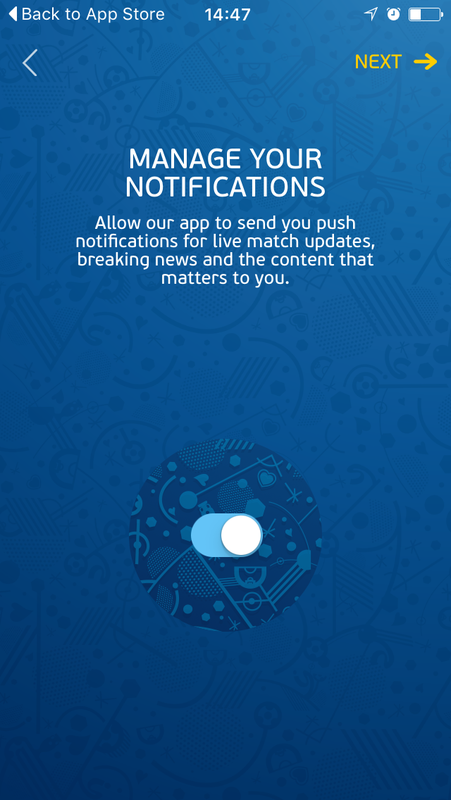 As a result, you have an ultra-efficient tool created to engage users and keep them notified of what they love most about this tournament. The only question left is how to make the subscription rate as close to 100% as possible. 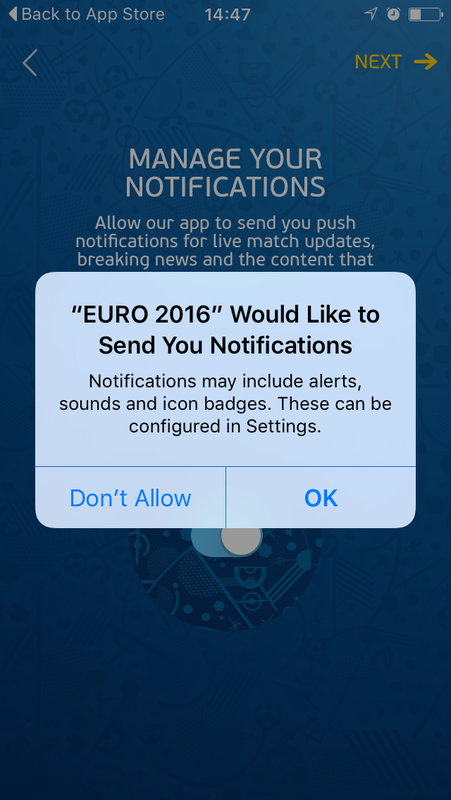 As pointed before, the user experience is deeply personalized. 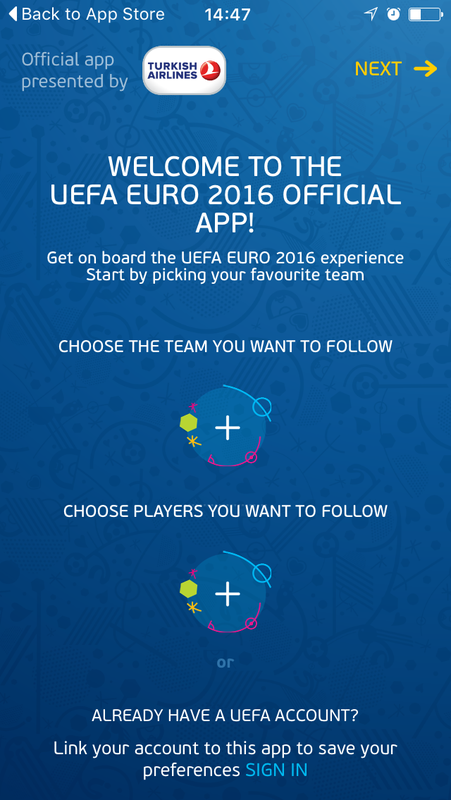 After you’ve downloaded and installed the app, you are offered to select your favorite teams and players, who participate in EURO 2016. 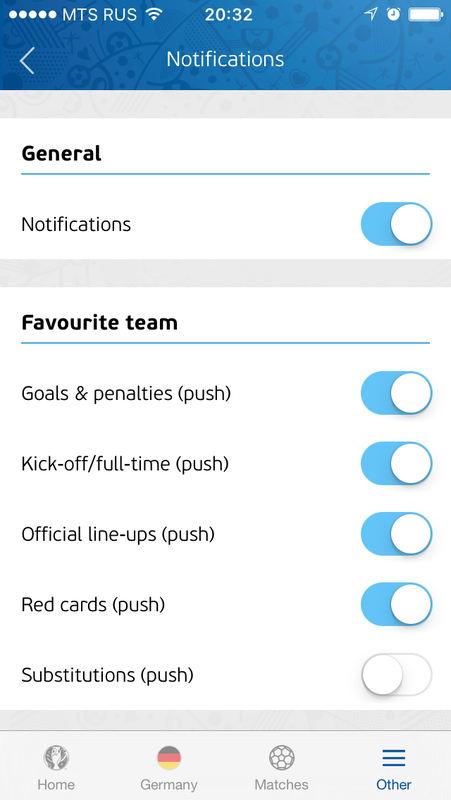 Then you receive the opt-in menu explaining what you will get after you toggle the scroll on. This step is a deciding factor as it’s aimed at showing the real value for customers. When done well, it can result in significant user base growth and give a real boost to your product. As simple as that, users are provided with a step-by-step explanation of why they should use the application and how helpful it can be. Please look at the screenshot below. This is an awesome example of how far you should go to make your audience receive only relevant information. 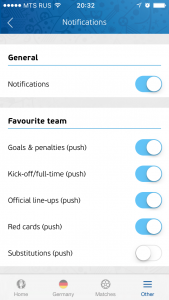 This is the essential part, meaning the more options your users are given, the more personally they will percept your product. In all senses. We hope this case will help you realize that the more you do for your customers – the more you will receive back. You just need to make your audience understand the values you possess. If you have any questions on the topic, please don’t hesitate and bring out your opinion in Facebook and Twitter.